The sweet negligee has a loose cut and is made of a great organic cotton material with a spandex content. It has thin adjustable straps decorated with a light blue satin bows at the front. The heart-shaped neckline and the bottom hem are bordered white transparent lace. 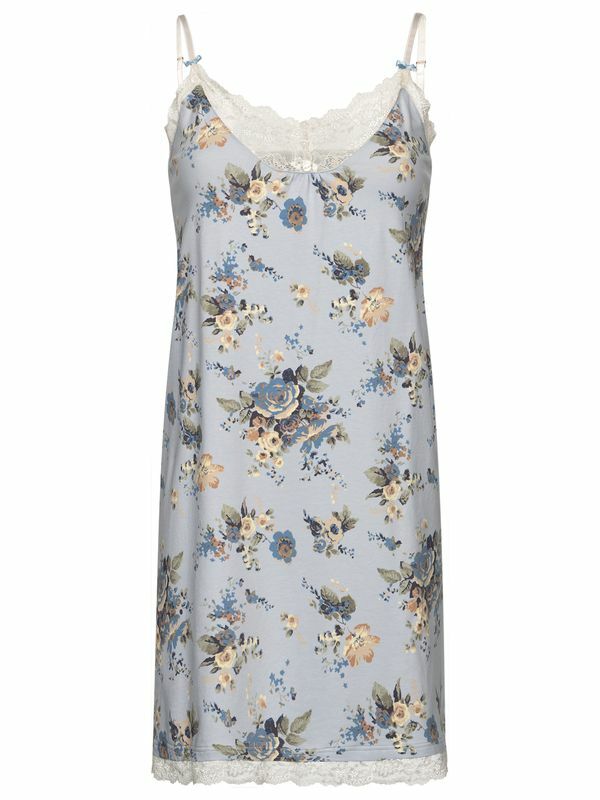 Decorative buttons in the neckline area give the negligee a playful look. 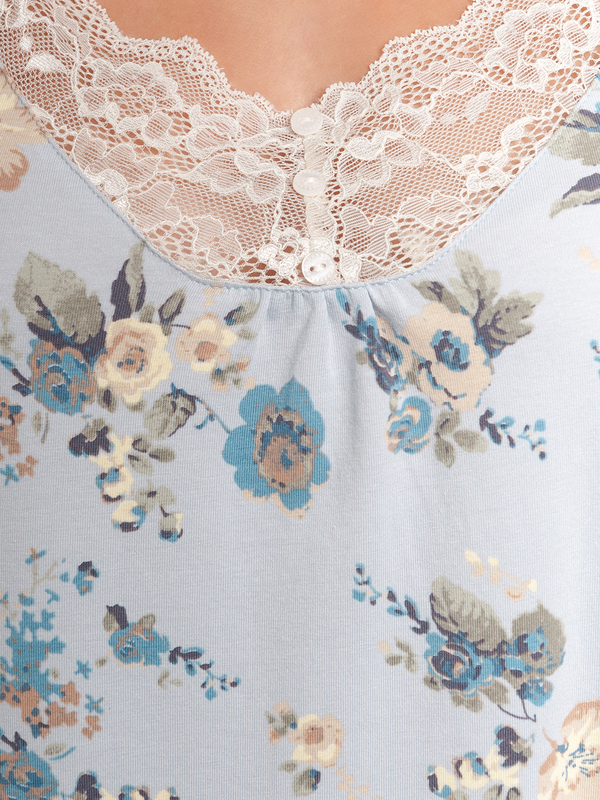 The print shows a trendy rose pattern on light blue fabric.